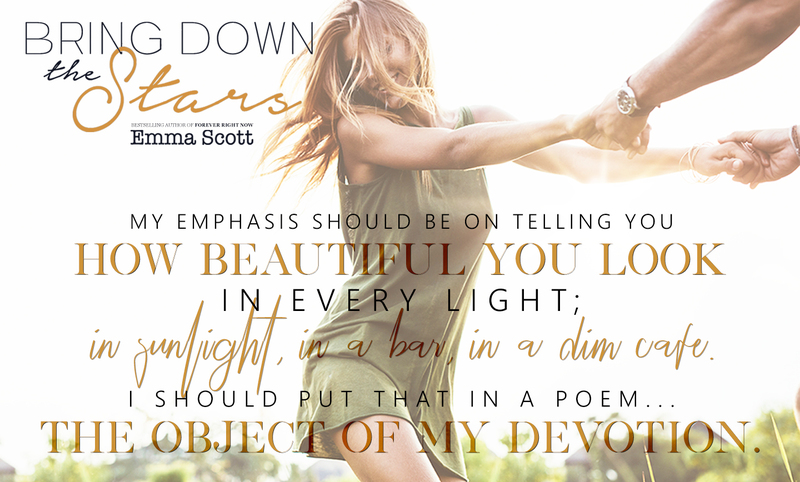 Bring Down the Stars by Emma Scott coming July 2018! Bring Down the Stars is an emotional, angst-filled novel of unrequited love. But the more time I spend with these men, the more tangled and confused my emotions become. There’s something strange happening between the three of us that I can’t figure out, but when they both sign up for the Army Reserves during a time of increasing strife in the Middle East, I fear I’ll never learn what it is. Or why I sometimes feel as if my heart will tear straight down the middle…for both of them.